Virtual pet websites for kids are a wonderful way to introduce your child to the responsibility of caring for a pet without actually taking on the huge job of caring for a real dog, cat, bird, or another animal. Already have a menagerie at home? 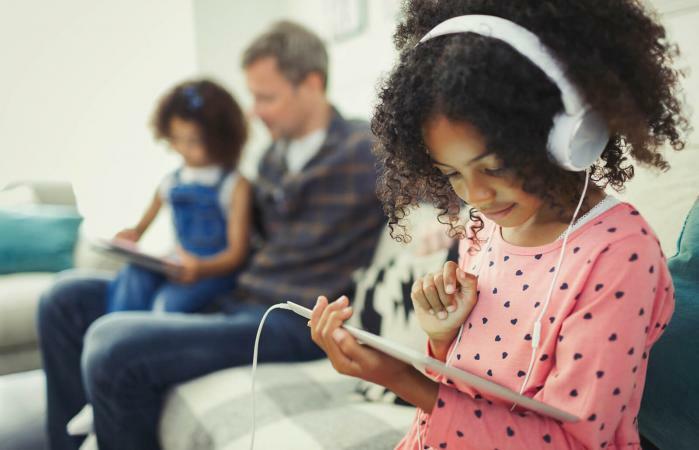 Your child can enhance her computer skills with a virtual pet as well. Neopets is one of the largest virtual pet sites for kids. This site features over 160 games, pet auctions and trading, messaging, and other options. Sign-up is free and simple to do. Prior to creating a pet, you will be required to sign up for an account. Once signed up you can select your Neopet's species, name, gender, and stats. The Neopets Arcade offers participants access to free games as well. This game works great for young and older kids. 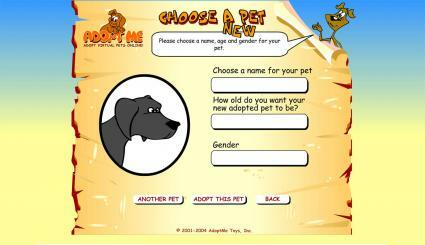 Adopt Me is another easily accessible, free virtual pet site for kids. Kids simply create a user name and password and then choose a pet to care for. A tip dog will give your child simple care instructions. All she'll need to do is move the cursor over one of the red or yellow boxes that indicate care is needed, and the tip dog will help her decide what to do next. This can help younger kids to care for their pets. 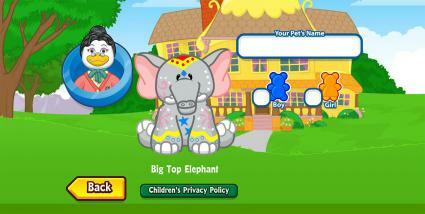 On Webkinz, kids can adopt a pet through the Kinzville Adoption Center. Kids will need to select a free adoptable pet or add an adoption code for one that was bought at the store. After selecting your pet, you'll name and select a gender before creating a new account. Once you sign up, you're free to start feeding, clothing and caring for your Webkinz. Young kids might need the help of a parent to navigate this site. Sometimes your run-of-the-mill dogs and cats won't cut it for your little monster. For kids that love monsters, they can choose one of six different monsters to adopt on Moshi Monsters. 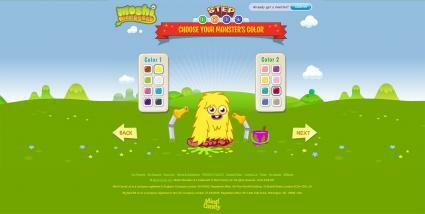 After clicking play, kids will choose a monster and then their two-color scheme. After which, you'll set up their user name, email, and password. Fun for even little kids, Moshi Monsters can go on adventures with you, grow flowers and even just hang out. Kids can play puzzles and games to earn points and get free stuff. Take your penguin around this online community and play games to level up and earn points. Setting up your penguin in Club Penguin is as easy as one, two, three. You'll first need to set up an account and choose a name for your penguin. Once your account is set up, you can pick your server and start playing. 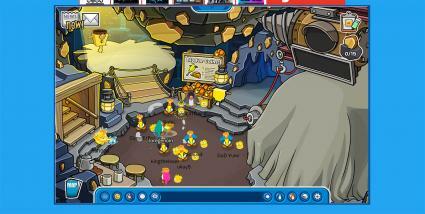 You can take your penguin around, visit games and even talk to other friends in the server. Earn points to get outfits for your penguin and decorate your igloo. This site offers a great chat feature that makes it great for kids over 9. Let your children learn to be responsible for their furry friends through Furry Paws. In this fun online pet game, you'll pick from several dog breeds to find your perfect match before signing up for an account. After you name your pet, you'll have to complete different tasks to advance in the game. For example, players will need to purchase food and dog supplies at the market. Since this requires a higher level of reading and knowledge, this game works better for kids above 7. Never give out personal information over the Internet, including full name, address, school, parent's name, etc. If someone tries to contact you, tell your parents immediately. If you find a new site, have your parents check it out before you use it. Getting a pet might not always be a possibility for some kids due to allergies, space and time. Therefore, there are several virtual pet websites available that let kids play with and care for an online pet. Whether they create it from the ground up or just play and take care of their online pooch on game websites, virtual pets are fun and build responsibility. And the best part, you'll never have to clean up their poo.